The Solar for Good program is primarily funded by philanthropists Cal and Laurie Coulliard of Deerfield. Solar for Good grants fund up to 20% of an organization’s solar installation. 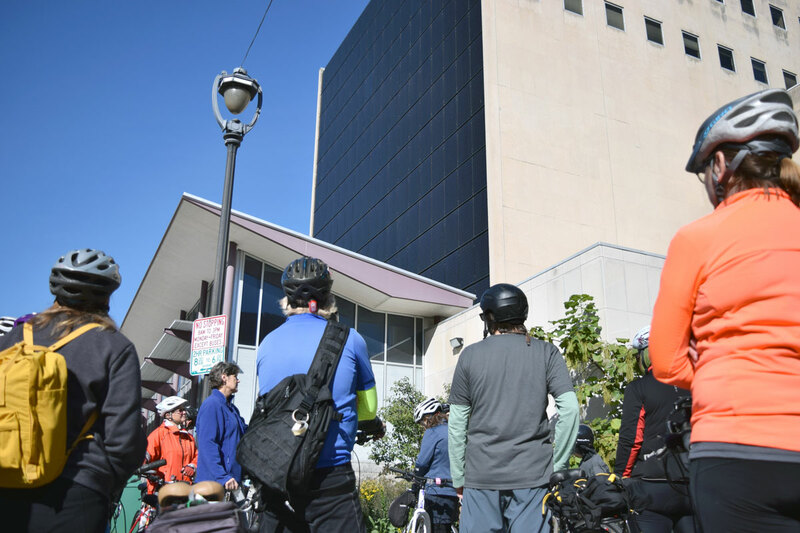 RENEW plans to issue another round of grant-funding in spring 2019. 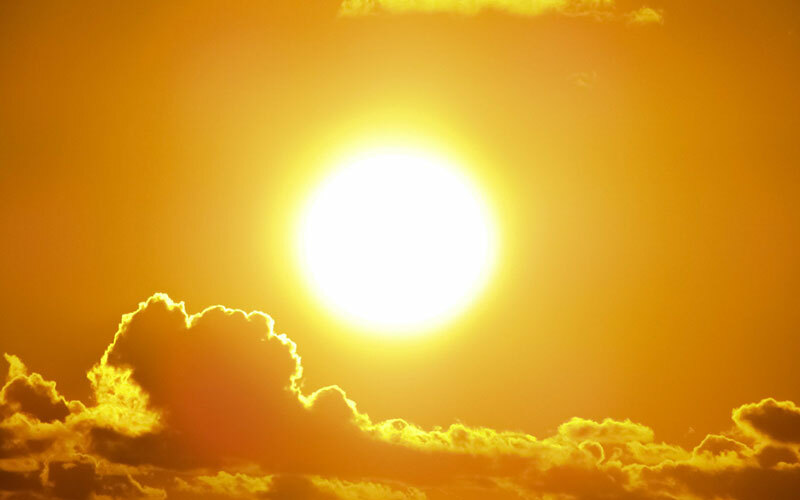 To learn more, please visit the Solar for Good website. 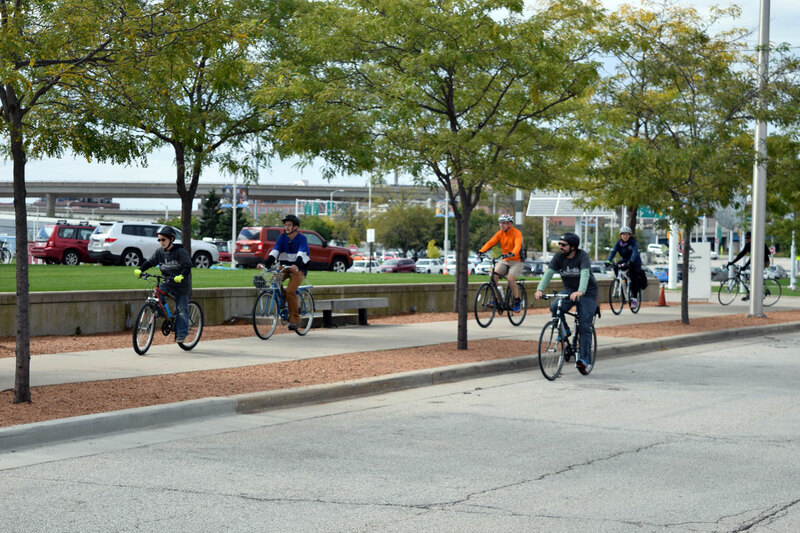 On Saturday, September 29th, fifty bike riders enjoyed our sixth annual “Ride with RENEW” bicycle tour! 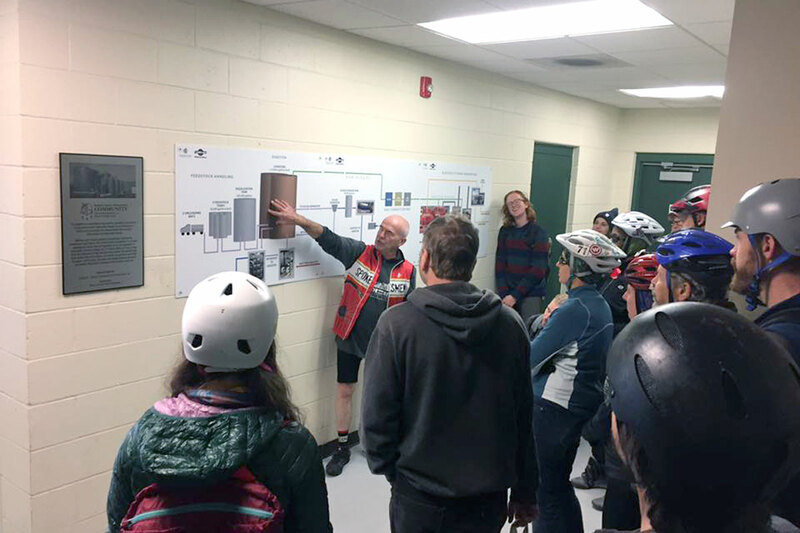 This year’s tour was in Milwaukee and we saw solar, wind, and biogas renewable technologies up close. The day started off cool, but as the sun rose the temps came along with it. 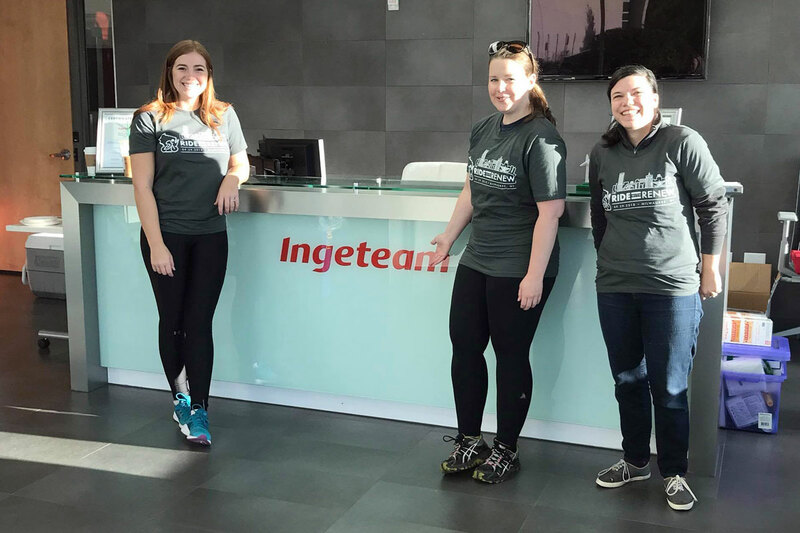 Ingeteam hosted our morning breakfast and registration, and we learned about their factory and US headquarters which builds wind generators and supports solar and wind projects nationwide. 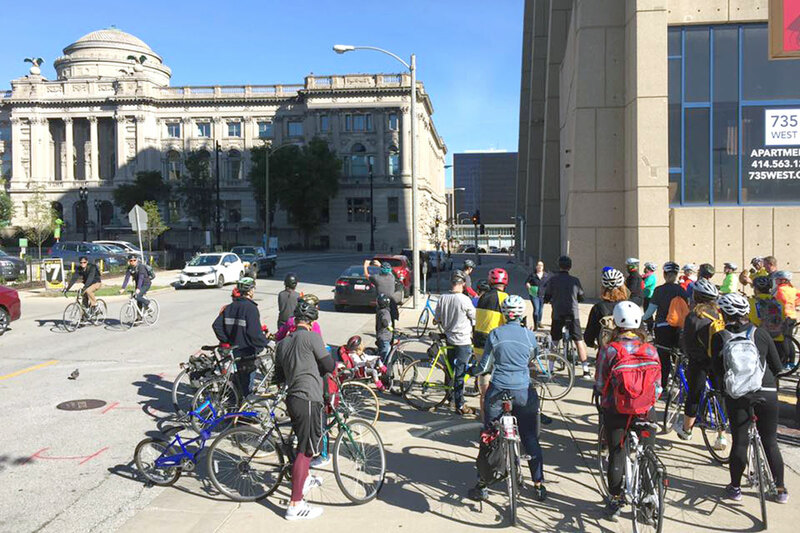 Next we visited the City of Milwaukee’s Public Library, where the City’s Elizabeth Hittman regaled our crowd with the City’s plans to install 1.1 megawatt of solar across six City buildings. The Library will get a 121 kilowatt solar PV system as part of this project. A block away, we visited the largest vertical solar PV wall in the U.S. according to project developer Convergence Energy. The project is at the Milwaukee Public Museum, and Director Ellen Censky motivated our crowd with her story of getting sustainability done! 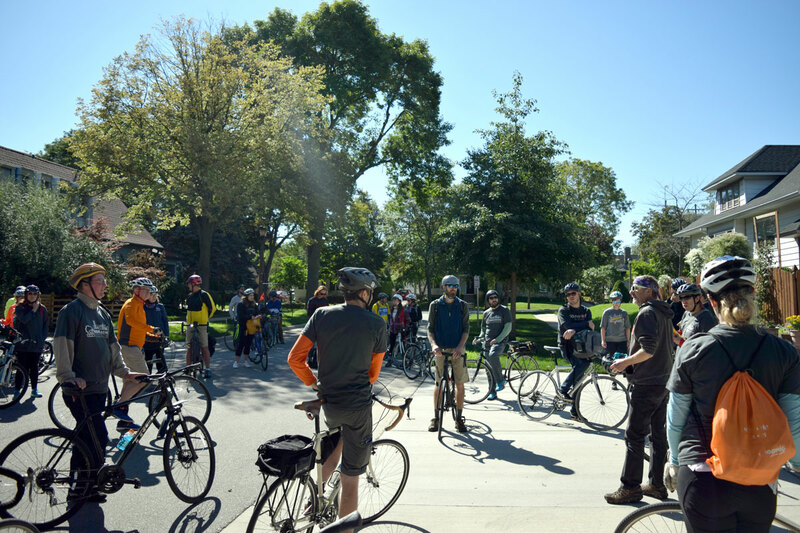 Next, we rode trails north to Shorewood where we saw solar on homes from a recent solar group buy through the City’s Milwaukee Shines Programand the Midwest Renewable Energy Association. 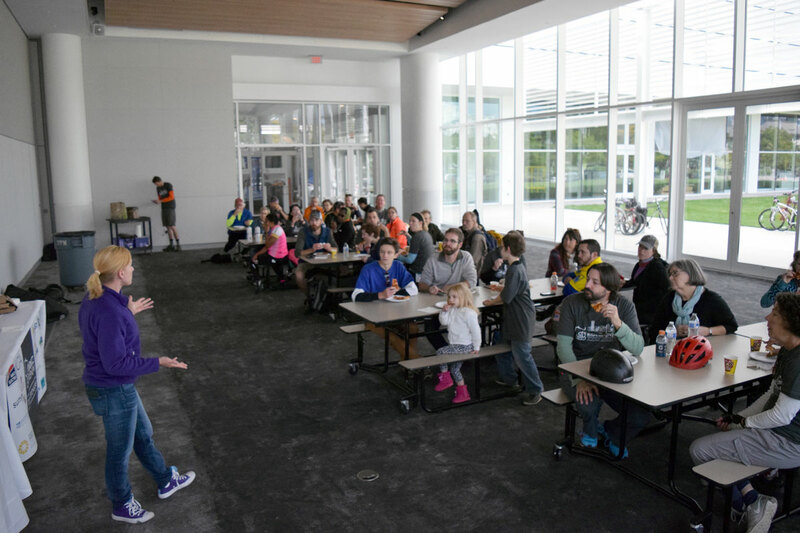 Then we headed to the lake, where we ate lunch at the Discovery World which includes geothermal heating and cooling, which ride sponsor HGA Architects helped integrate into the building. Have you ever had solar-powered pizza delivered by an electric car? We did! Our lunch was delicious and provided by Bounce Milwaukee. Bounce uses solar electricity to power solar ovens that cook pizzas, which are then delivered by electric cars. Ice cream was also provided by Cedar Crest Ice Cream. 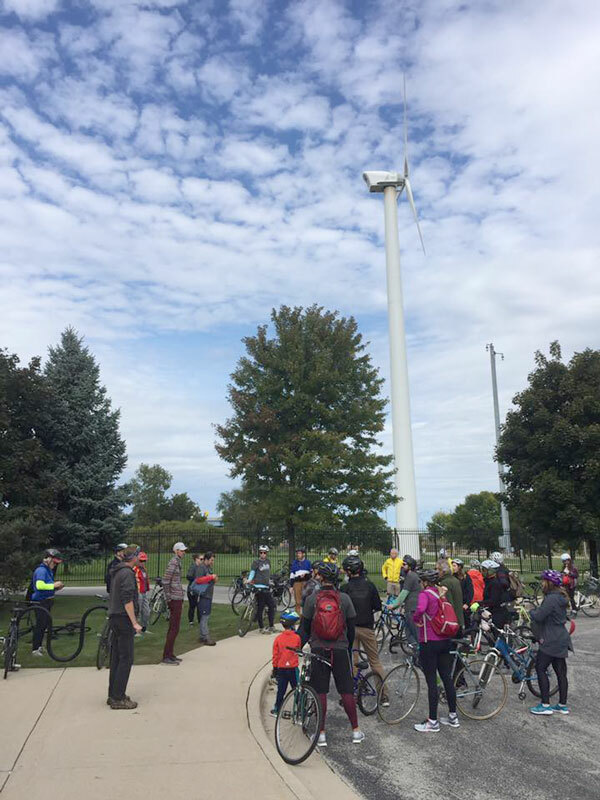 After lunch, we visited the Port of Milwaukee’s wind turbine which is close to producing 1 million kilowatt-hours of electricity and is coming up on six years of operation. Then, two non-profit organizations showed how broadly solar has grown. 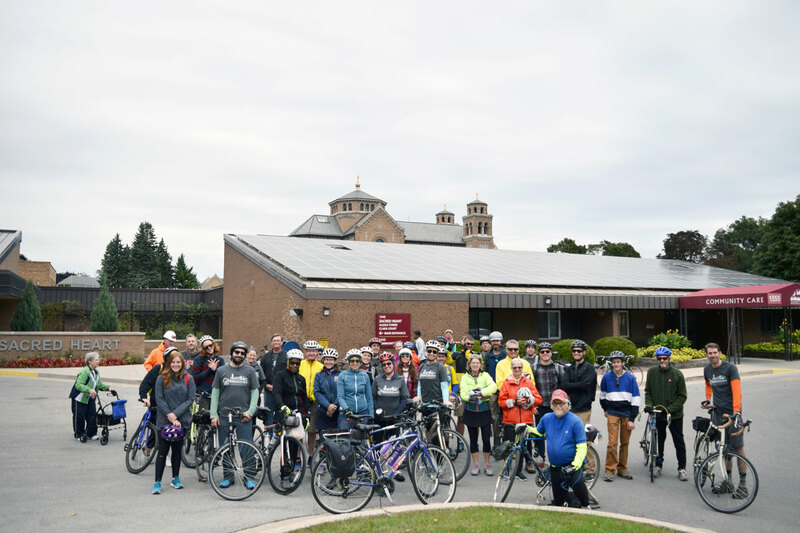 Mike Cornell of Arch Electric showed off their project at the School Sisters of St. Francis, which we believe is the largest solar project for a religious order in Wisconsin. The solar panels at this project are made in Jackson, Mississippi, by Seraphim. Escuela Verde was our second-to-last stop, where Catie Malcheski of Sunvest described the school’s vision and actions to get solar. The panels had been donated by Helios when it was making panels in Milwaukee a few years ago, but the school needed to raise the money to complete the installation. RENEW’s Solar for Good program was a key contributor to making the project happen! Our last stop was at the Forest County Potawatomi Community’s Biodigester, which is located next to the casino. The Biodigester takes food waste from the casino and other locations and turns it into biogas, which is then used to create electricity. Waste heat is also piped to the casino in the winter. Charlie Opferman of the Potawatomi Community told us how the biodigester is basically a big stomach in action. We finished up by having a beer and snacks at City Lights Brewing Company. 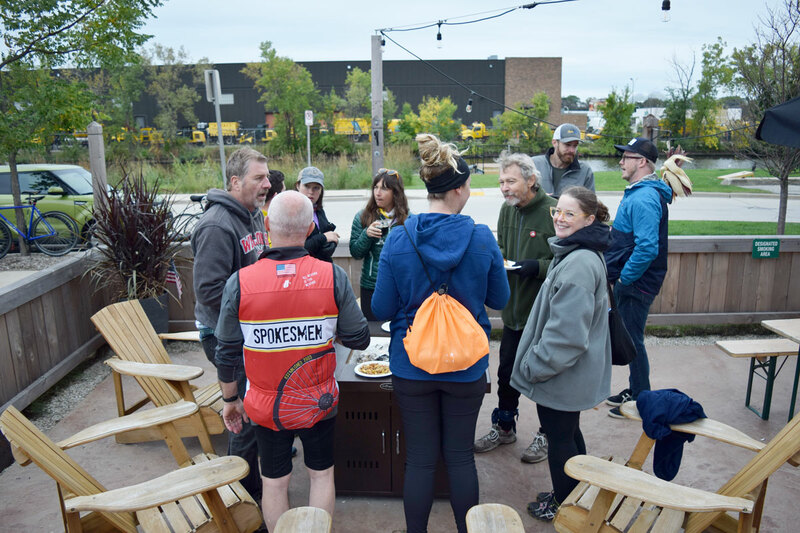 We also once again enjoyed excellent financial support from our sponsors, RENEW Wisconsin members, and friends and family of our bike riders who donated to support the riders. 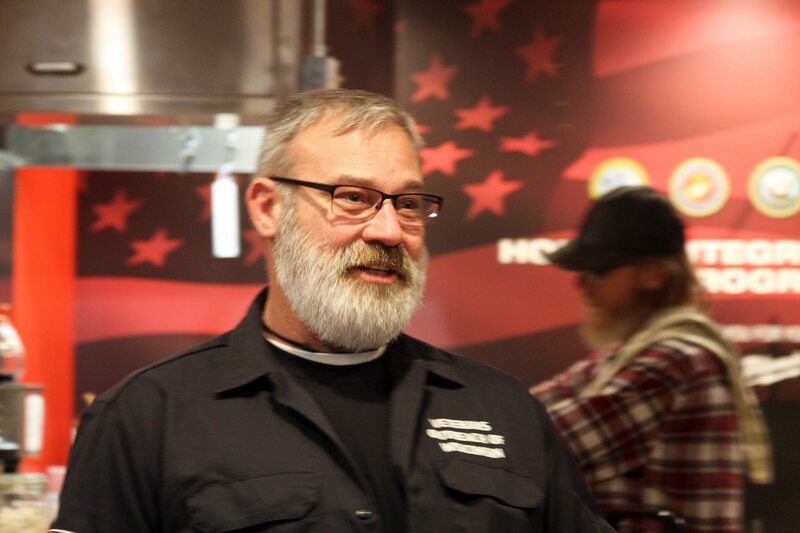 John & Mary Frantz offered to match up to $15,000 in donations towards our ride, and we exceeded our goal again! All event proceeds will support RENEW Wisconsin’s ongoing work to advance renewable energy in Wisconsin. Thank you once again to all of our riders, sponsors, and supporters! 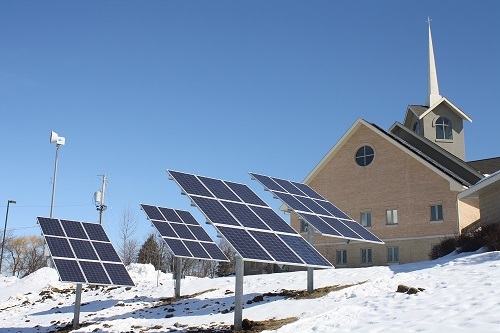 RENEW Wisconsin’s Solar for Good program today opened its third application process with approximately $100,000 in grants available for mission-driven nonprofit organizations across Wisconsin seeking to install solar power. The grants assist nonprofits in funding the cost of a clean, renewable solar power project. Smaller grants can also provide technical assistance, including professional solar site assessments and engineering services, needed to get solar projects off the ground. Solar power is very popular with mission-driven nonprofits because it aligns with their goals to improve people’s well-being and create a better future. 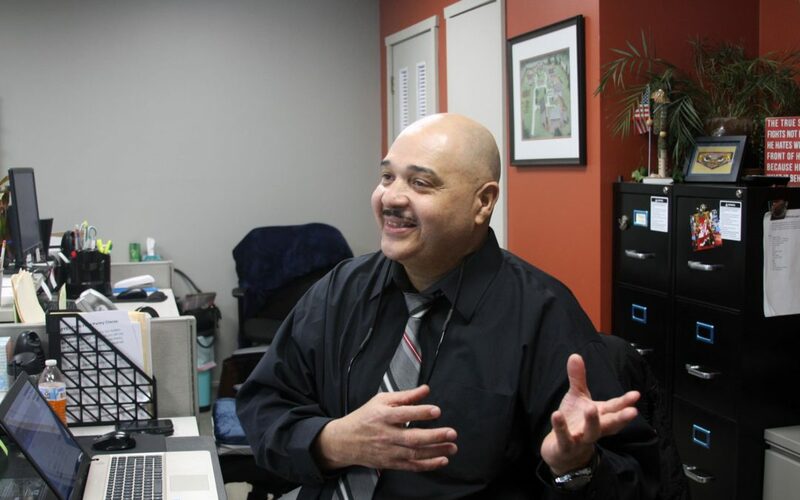 The projects also help nonprofits save money on energy costs. Through the first two rounds of this Solar for Good, successful solar projects have been supported for organizations of faith, those serving human needs, groups protecting special places, and more. The first two rounds occurred in Fall 2017 and Spring 2018, and so far, 25 solar projects have been awarded grants, and 12 projects are already completed. 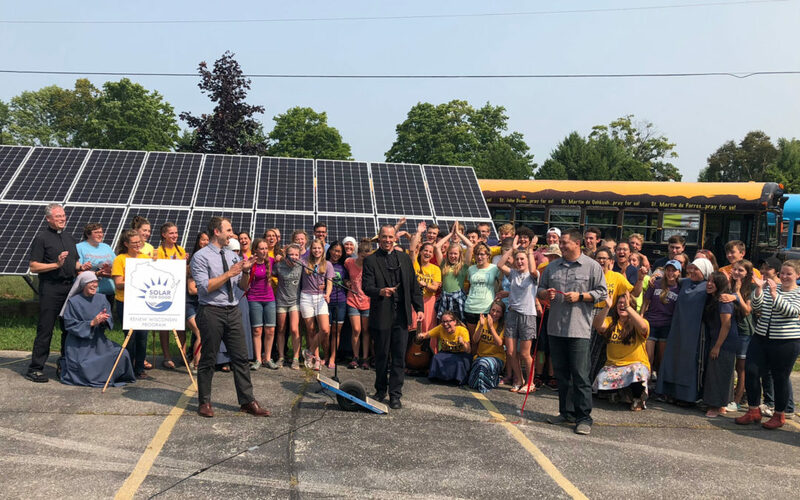 “We are very pleased to announce our third round of Solar for Good funding to help more Wisconsin nonprofits take advantage of solar energy. 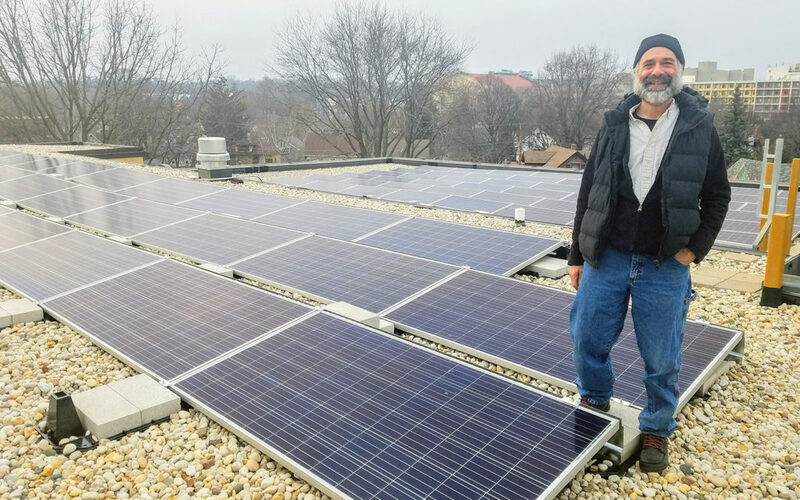 Solar energy is healthy energy for people and for the beautiful Wisconsin landscapes we all enjoy,” said Tyler Huebner, Executive Director of RENEW Wisconsin. Solar for Good is funded through generous donations from local philanthropists Cal and Laurie Couillard of Deerfield and additional donors. The program provides up to 20% of the cost of a solar array, with a grant cap of $10,000 for solar arrays sized less than 75 kilowatts and a grant cap of $20,000 for arrays 75 kilowatts and above. Solar for Good has already awarded over $200,000 in grants, resulting in nearly $1.8 million of new solar power projects in Wisconsin. In return for funding assistance, recipients of the Solar for Good grants help spread the word about their project and educate their communities about solar power’s benefits. Organizations can learn more and apply at https://www.renewwisconsin.org/solarforgood/. Applications are open now for this round of funding and must be received by Tuesday, November 13th 2018 at 5:00pm. Decisions and funding announcements will be made by Monday, November 26th, 2018. RENEW Wisconsin is a nonprofit organization which promotes renewable energy in Wisconsin. We work on policies and programs that support solar power, wind power, biogas, local hydropower, and geothermal energy. More information is available on RENEW’s website: www.renewwisconsin.org.